We are all concerned about Privacy. Every day there we hear about multiple PII breach announcements. Our current solution – lets create laws to require announcements and levy fines to encourage proper activities and protections. With GDPR looming on the horizon, as the most recent and perhaps the most comprehensive regulation yet, we find ourselves wondering if others will adopt similar regulations. If so, do we as security professionals need to be concerned about our ability to perform forensic analysis, and gather information outside of our realm of direct influence to identifier a hacker? Do elements of GDPR create a situation in which hunting for a hacker might violate their privacy rights? In the end will companies still be able to monitor and protect their assets as they do today, or will it require a change? 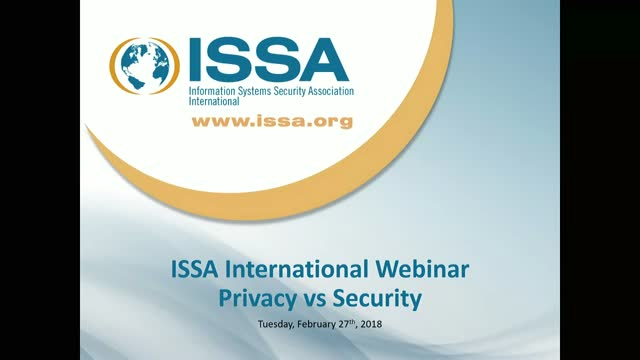 This webinar will provide insight into the Privacy vs Security Debate.